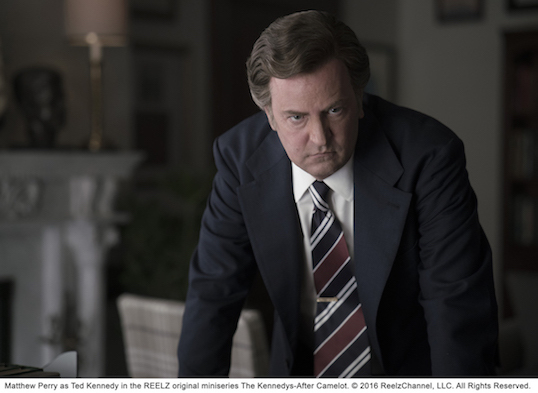 Matthew Perry as Ted Kennedy in the REELZ original miniseries The Kennedys After Camelot ©2016 ReelzChannel, LLC. All Rights Reserved. 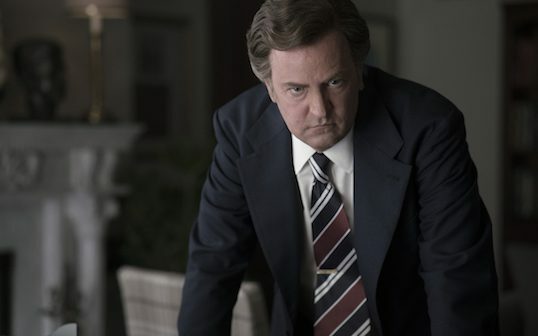 In the REELZ channel original mini-series “The Kennedys After Camelot,” Matthew Perry takes on the role of Ted Kennedy. For TV viewers who are used to seeing Perry in sitcoms (“Friends” and “The Odd Couple”), this is a major departure for the actor. And the idea of Perry playing the role of Senator Edward Kennedy was something viewers could not wrap their heads around. The mini-series has not had good reviews among the press, however viewers are basically split in their reactions. 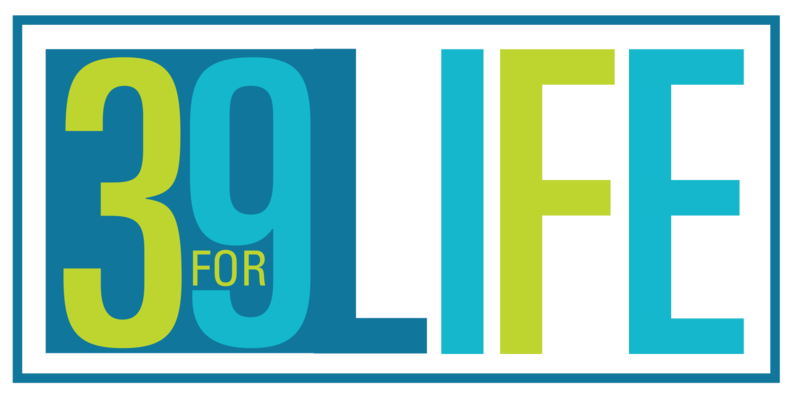 The four-part mini-series tackles the lives of Jacqueline Kennedy Onassis and Ted Kennedy after the 1968 assassination of Robert Kennedy. Perry was an executive producer on this project. He knew he had to change his appearance with the help of the makeup department, and alter his voice dramatically. After all, Ted Kennedy had a distinctive accent. Unfortunately, Perry didn’t quite master that accent and at times it sounded a little like a Southern accent than that of a man from Boston. Perry confided to the media prior to the airing of the show that he had a hard time bringing his voice down and playing smaller rather than larger, which he had been doing in a play just before he took this role. As Perry explained, “We got to the first scene, which is a very intimate scene inside a limo, my first shot, and I think my line was, ‘I’m going to take the boat out. The kids can fly home.’ And they said, ‘Action.’ And I said, ‘I’m going to take the boat out. The kids can fly home.’ And immediately I just saw this skirmish of people gather together and go, ‘What do we do? That’s not usable. That’s not the way he sounded.’” Perry admitted, “And so that was scary, getting that voice down. 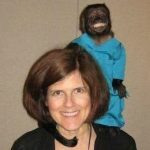 But I had good people in charge, helping me out.” He acknowledged he attempted to tackle the accent in 12 coaching sessions and after each “take” of filming he was given notes as to what he was doing wrong and how to help overcome that. Indeed, the mini-series does portray Ted Kennedy as being cruel to his wife Joan and self-absorbed, especially after the accident at Chappaquiddick, which takes up most of the first two hours of the series.